Scathingly Brilliant: it's fate, baby, it's fate. 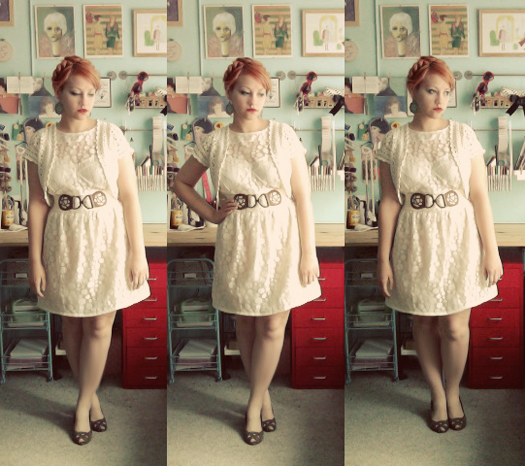 I'd been on the lookout for a neutral dress for a while when I stumbled upon this one from Modcloth. They had one left in my size, and while I deliberated, someone snatched it up from underneath me. So I signed up for a restock notification and moved on, searching on other sites, all the while regretting that I didn't add this one to my cart while I had the chance.